What started out as a few advisors to help the army of South Vietnam soon put America's youth on the firing line in a war that was not supported by the Politicians to go all out and win. Our troops were put in harms way and could not fight the enemy as in previous wars. The enemy did not show up in uniforms to identify themselves as "THE ENEMY". They were everyone and everywhere. The troops developed a true brotherhood to survive the horror of being alone at times to face an unknown enemy. Meanwhile at home protestors voices were raised to stop the killing of women and children in a savage country who could care less about freedom as we knew it. The war protestors put pressure on all fronts to bring our troops home and stop the killing. What happened after we came home was even more tragic. We were cursed and spit on. We were looked down at and called baby killers and all kinds of vile names. We were called animals and we were said to be all crazy because some of us couldn't handle civilian life. I myself remember a comercial on TV with the statement "Be patriotic and hire the ex-con and Viet Nam Vet". Many stories from Vietnam Vets confirmed the bad treatment they received when they came home . They went, they served with honor, and they died in what we called a war. For a long time, our Government refused to call it a war. They called it a conflict or a police action. 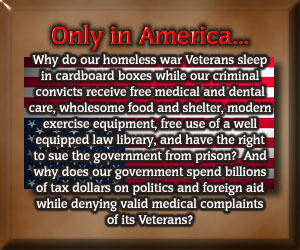 When it was over they came home to a nation that did not honor them as Vets in previous wars, no victory parades, no respect, no welcome home, NO HONOR! Please thank these men and women for their valor. 58,167 lost their lives over this. A day in the life of a Vietnam Veteran isn't like a day in the life of anyone else. My personal feelings are that all POWs were not held in Vietnam or anywhere else where there has been war/conflict. The Vietnam Veteran, even if he was never captured by the enemy, is a POW in his own country many years later. It now seems to be the "in thing" to be patriotic and proudly display your flag, wear your T-shirts and proclaim your support for the US and their gallant military. That's grand but where the hell were all of these patriotic, flag waving "Americans" when the Vietnam Veterans returned home? Do you have PTSD? _ Get Help Now! Guess What?_as of 9/11_PTSD is not just for VietNam Veterans Anymore. "Trauma Information Pages, Articles: van der Kolk et al (1995)"___New! 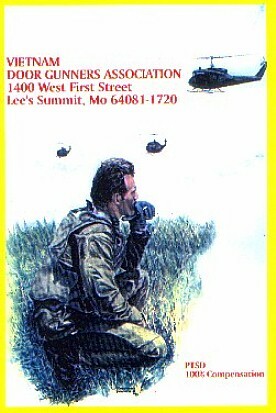 Post Traumatic Stress Disorder in__ VIETNAM VETERANS.
" CAPPy'S Home Page "
" The Elder's Thoughts "